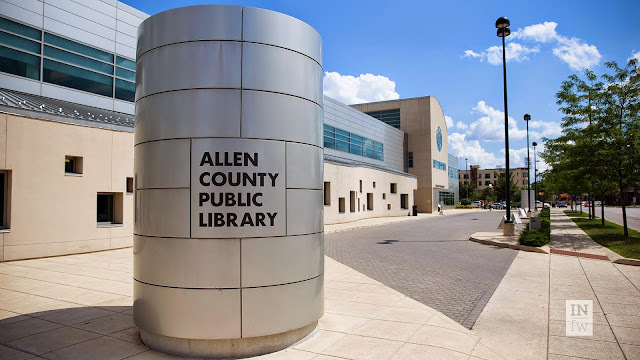 ARLINGTON, VA, 10 FEB 2016—Registration is now open for the National Genealogical Society’s guided research trip to the Allen County Public Library in Fort Wayne, Indiana, from 15–19 August 2016. Under the guidance of research consultants Pamela S. Eagleson, CG SM and Patricia Walls Stamm, CG SM, CGLSM, participants have five days to conduct personal research at one of the largest genealogical libraries in the Midwest. For more information or to register for the trip, visit http://www.ngsgenealogy.org/cs/ft_wayne_research_trip. One of the noteworthy research repositories, the Allen County Public Library houses the Fred J. Reynolds Historical Genealogy Collection; PERSI, the Periodical Source Index, and in a joint venture with the Indiana State Museum, the Abraham Lincoln Financial Foundation Collection. The library’s collection contains more than 350,000 printed volumes and 513,000 microforms. .
For more information or to register for the trip visit http://www.ngsgenealogy.org/cs/ft_wayne_research_trip. Payment is required in full at the time of registration. The package price does not include transportation to Fort Wayne. Eagleson is a researcher, writer, and teacher who conducts client and personal research nationwide with an emphasis on New England, the mid-Atlantic, and the Midwest. A member of NGS since 1981, she currently serves as a director at large. She lectures at NGS national conferences as well as regional and local conferences. She has attended the National Institute on Genealogical Research (NIGR), the Institute of Genealogy and Historical Research (IGHR), the Salt Lake Institute of Genealogy (SLIG), and the Genealogical Research Institute of Pittsburgh (GRIP). Winner of the 2004 NGS Family History Writing Contest, she is co-administrator of the Stone Surname DNA project and a member of the Association of Professional Genealogists and many regional genealogical societies. Stamm serves as NGS Education Manager. She lectures on a wide variety of topics at many of NGS and the Federation of Genealogical Societies national conferences. She is a graduate of the NIGR and IGHR. Stamm is a course coordinator at Samford University's Institute of Genealogy and Historical Research and teaches at St. Louis Community College.